Saxophone legend Leo Russo heats up the Spring with Mike Novakowski on Guitar and Lou Smaldone on bass. Jazz at the Spring is celebrating Jazz Appreciation Month by showcasing one of the area’s musical treasures, saxophonist, Leo Russo. Russo now in his eighties, still commands the bandstand and is a living encyclopedia of the jazz language. He is one of the greatest musicians to ever come out of the Capital District and with his unique sound and sense of musicality Russo is recognizable from the very first note he plays. 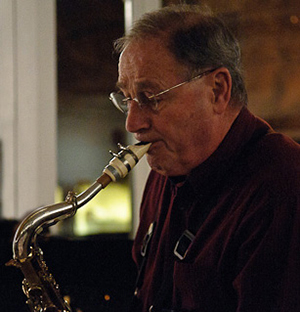 Influenced by Stan Getz, Leo’s early career included working with the swing era bandleader Bobby Sherwood and then a stint on the West Coast in bands including a small group led by drummer Buddy Rich Returning to the Capital Region to raise his family, he’s been a major figure on the area jazz scene for over fifty years. This is a rare opportunity to hear the great Leo Russo in a small group format, and for this special performance Leo has handpicked two consummate sidemen from our rich talent pool, Mike Novakowski on guitar and Lou Smaldone on bass. In choosing to forgo drums and piano Leo give us the opportunity to hear his beautiful and melodic interpretation of the standards in the intimate and exposed setting of saxophone, guitar, and bass. Guitarist Mike Novakowski has played for many years with Leo. He performs regularly with the Teresa Broadwell Band and has frequently performed with the Empire Jazz Orchestra. 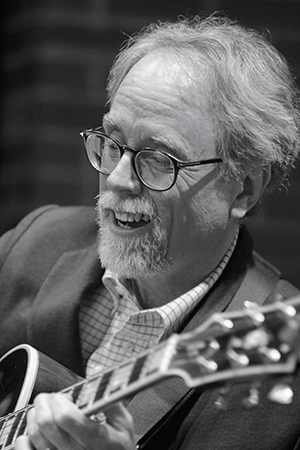 His tasty, swinging, Wes Montgomery and Jim Hall-influenced style fits hand-in-glove with Leo’s melodic approach. Lou Smaldone is a seasoned bassist and in demand sideman in the Albany Area and beyond. 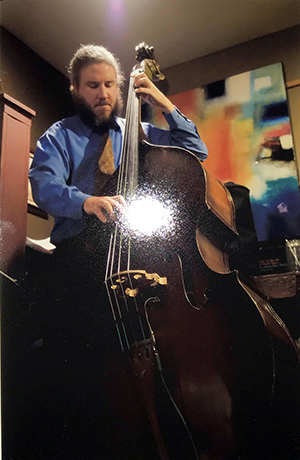 His formal education included time at Schenectady County Community College and The Crane School of Music at SUNY Potsdam. Inspired by the bass stylings of greats Paul Chambers & Charles Mingus, Smaldone provides a solid foundation for the trio. His effortless time keeping and always in the pocket propulsion is the hallmark of this active listener and inspired sideman.